Fall, 1966: A new band called City Strangers forms with the following lineup: Dale Strength on guitar and vocals; Larry Norling on Farfisa organ and vocals; Ron Merchant on bass guitar and vocals; and Bob Strength (Dale’s brother) on drums and vocals. Dale, Larry and Bob are students at South High in Minneapolis. Ron is a student at De LaSalle High in Minneapolis. The band plays covers of Top 40 songs including British Invasion bands. November 26, 1966: The band plays a “Battle of the Bands” at St. Kevin’s Catholic Church. 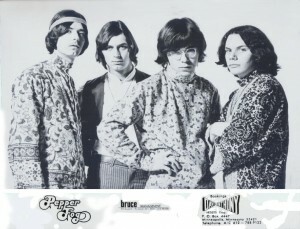 Late 1966 – 1967: The group plays at the YMCA in Minneapolis, Beek’s Pizza (54th and Lyndale Avenue South in Minneapolis) and school and church dances. In addition, the group rents out space at the Firebarn (a Minneapolis fire station) on 38th and Snelling Avenue and puts on their own dances. March 18, 1967: The band plays a job with The Children at the Firebarn. 1967: The band wins a talent show at South High and plays at a DeLasalle High Auditorium Assembly Concert. The band wins a Battle of the Bands sponsored by Trestman Music which is held outside in their store parking lot in Richfield. January, 1968: Gregg Inhofer (De LaSalle High) joins the band on guitar and vocals. With a change in members, the band decides to change names and musical styles. The new band name is Rubberband with the following lineup: Dale Strength on guitar and vocals; Gregg Inhofer on guitar and vocals; Larry Norling on Farfisa organ and vocals; Ron Merchant on bass guitar and vocals; and Bob Strength on drums and vocals. The band plays cover songs from the hard rock bands of the time including: Jimi Hendrix; Cream; The Who; The Rolling Stones; and Vanilla Fudge. January 19, 1968: The band plays for a sock hop held at De LaSalle High. January 24, 1968: The band plays for a semi-formal teen dance at West High School. April, 1968: Larry Norling leaves the band and the group continues on as a four piece with Dale, Gregg, Ron and Bob. The band name changes from Rubberband to Flight. The band is booked by JamesDonnaAgency (Jim Donna). 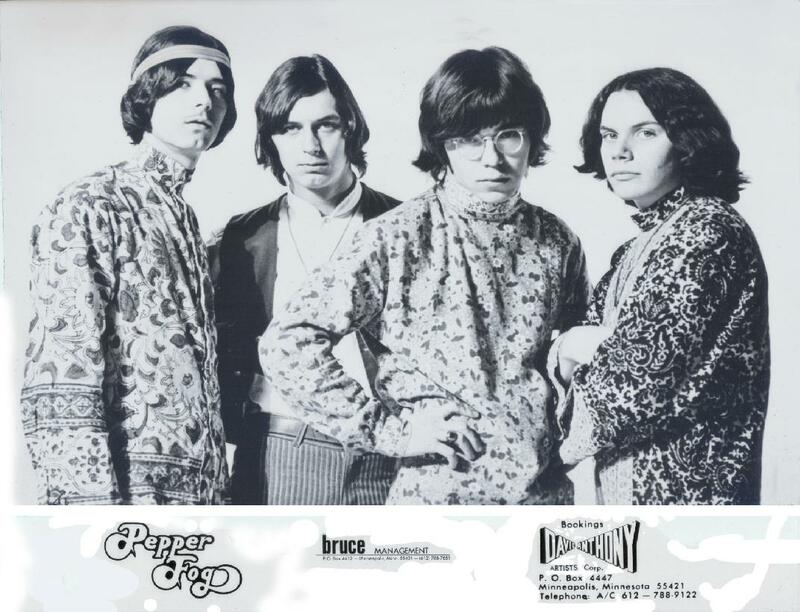 Fall, 1968: Flight record a version of “Sugar and Spice” (by The Cryan’ Shames from Chicago) at George Garrett’s basement studio and sends it to KDWB as part of a nationwide band contest sponsored by MGM Movies. The winning band will get to appear in the MGM movie “The Impossible Years.” The recording gets the band into the regional competition and they get to play as the opening act for Sajid Khan, a teen idol from India. The concert takes place at the Minneapolis Armory and Sajid enters the venue riding on top of an elephant. December 1, 1968: The band plays at the Catholic Youth Center in St. Paul. December 28, 1968: Flight takes a plane to Chicago for the Midwest finals of the talent show. The group is booked in the first class section and wears their stage clothes on the plane as they are booked back to Minneapolis on a later flight that night. The band lip syncs to “Sugar and Spice” and are eliminated in the competition. 1969: Joe Budnick becomes the manager of the band. The group rehearses in his basement in Minneapolis. Dale hears “Fresh Garbage” by Spirit, buys the album, and plays the song for the band. Ron starts playing the keyboard part on an acoustic piano and Gregg begins playing the part on a Wurlitzer electric piano. Gregg finishes the part first (by a mere second) and becomes the keyboard player for the group (along with guitar). Early, 1969: The band is watching a performance of Jimi Hendrix (possibly at the Monterey Pop Festival) on television and notice that off to the side of the stage are large boxes that are stamped on the side with “Pepper Fog” which is a chemical used by the police for crowd control. The group likes the name and Flight changes names to Pepper Fog. Along with the name change, the band has a change in their music style and plays mainly underground music. Pepper Fog play their first job in town at Dania Hall on the West Bank by the University of Minnesota. The first out of town job is at the Purple Peanut in Nisswa. Summer, 1969: The group plays at a number of anti-war protests/concerts at the University of Minnesota. July 19, 1969: The band plays at “Big Daddy Wags Night” at The Prison in Burnsville. Big Daddy Wags brings along his Voxmobile. Other bands on the bill are: The 19th Amendment; Bananas; Pure Honey; Pride and Joy; Olivers; CA Quintet; Stone Hedge; and Boiling Point. The band plays a job with White Lightning at the Coffman Union on the University of Minnesota campus. The band plays at The Labor Temple with Johnny Winter and Spirit. Bob and Gregg both work at The Labor Temple (concessions) on concert nights. When the Small Faces come to town to play at The Labor Temple, the band picks them up at the airport and drives them to the concert. Pepper Fog plays at the following venues: Mankato State College; Duluth Armory; The Tower in Austin; Albert Lea Armory; Cloquet Armory. The band starts to write original songs: “Mister Smith” by Gregg; “Coming Home” by Gregg and Dale; “Foggy on my Mind” by Ron. The band records six original songs at Sound 80 in Edina. “Let Me Go” (the group). “Coming Home” (Dale and Gregg). The recordings are engineered by Tom Jung and Pete Martinson. The band has two band boys: Mike Brandt and Bob Corrigan. Summer, 1969: The band travels to Salt Lake City to play a job with The Zombies, a British band. The band gets to town two weeks early to play a two week job booked at a club called The End Lounge. At the club the band is incorrectly advertised as being from New York. The band is fired after the first night because they fail to play the current top 40 songs. The band tells the owner they will stay up all night at the club and learn every song on the juke box in order to play the full two weeks of jobs and the club owner agrees, but cuts their pay in half… and then cuts their stay from two weeks to one week. After playing with The Zombies, the band is advised to check out “The Old Mill” which is a hippie club (and former paper mill) in Salt Lake City. Every Sunday afternoon, there is a jam session at The Old Mill. A local guitar player named James Warburton encourages the band to experiment for the first time with jamming, something new for the group. The band lives at the club and participate in the Sunday jam sessions for a number of weeks. While staying at “The Old Mill” the band makes a rather startling discovery… the old paper mill is haunted. The band gets a job playing The Lagoon in Ogden, a suburb of Salt Lake City. Before the job starts, the band stops at Sears to buy matching stage clothes: blue shirts; white polyester ties; and white Levi pants. At the first night playing at The Lagoon, the band assumes everyone wants to hear the standard Top-40 songs but discovers the audience likes underground/hard rock bands after getting a request to play a Jimi Hendrix song. The band changes gears and plays their underground rock songs and are well received at the club, where they play for three weeks. The band plays a show with Paul Revere and the Raiders in Ogden. Late Summer, 1969: The band returns to Minnesota. Dale, Bob and Gregg decide to rent an abandoned farm in PlymouthVillage located by Freeway 494 and County Road 6 (13919 County Road 6). The farm is owned by Bell Mortgage who are holding the property to wait for land values to increase and then sell it. Ron Lives in Minneapolis (2633 Humboldt Avenue South). The band has jam sessions with local musicians on a weekly basis at the farm. The group plays at a number of anti-war protests/concerts at the University of Minnesota. October 12, 1969: The band opens up for The Velvet Underground at the LaborTemple in Minneapolis. November 8, 1969: The band plays at Casino Royale in Fridley. November 15, 1969: The band plays at the Virginia Armory. Late, 1969: The band is booked to play a ten day tour as the opening act for The Animals. 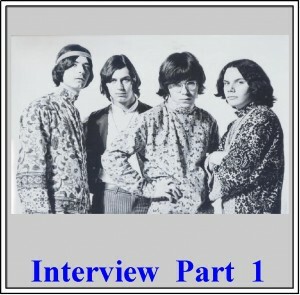 The Animals are not the British band with Eric Burdon, but a rock band from Indianapolis, Indiana, who attempt to fool the public into thinking they are the British Invasion band. The band realizes the group from Indiana is trying to pull off a scam but play nine jobs to fulfill the contract. The last concert date is cancelled by the promoter. Dale, Bob, and Gregg move into the second floor unit of a duplex located at 2541 Grand Avenue South in Minneapolis. The band’s home becomes known as the Pepper Palace and Billy Hallquist (from the local band Thundertree) writes a song called “Pepper Palace” as a tribute to the band’s home… known for having frequent parties. Early, 1970: The Gathering at the Depot album is released, a promotion album for bands that are booked by Alpha Productions. Included on the album is “Celebration” by Pepper Fog. Spring, 1970: The band plays at The Eau Claire Peace Festival held at the University of Wisconsin. Rain moves the crowd of 1,500 people inside. Other acts at the event are Mandrake Memorial; Townes Van Zandt; Zulu; The Paisleys; Cottonwood; Thundertree; The Mauraders; Seaman’s Mark; and Chesterfield Gathering. The band travels throughout the out state Minnesota area and the upper five state Midwest area. The band purchases a Ford Econoline van formerly owned by The Castaways. The band is booked through: David Anthony Productions (Bruce Brantseg); Central Booking Alliance; Magnum Artists; Alpha Productions: Five State Productions; Schon Productions; North Country Music (Mark Hughes) ; and Pluta Productions (Bill Pluta). September 20, 1970: The band plays at the LaborTemple with Gypsy (formerly The Underbeats from the Twin Cities). December 23, 1970: The band plays for a concert called “A Festival of Hope” held at the Minneapolis Convention Hall. The concert is organized by Reverend Roger Paine and folk singer Ken Schaffer. Also on the bill are: Willie Murphy; The Paisleys; Lonnie Knight; Roy Alstad; and Charles Keating. 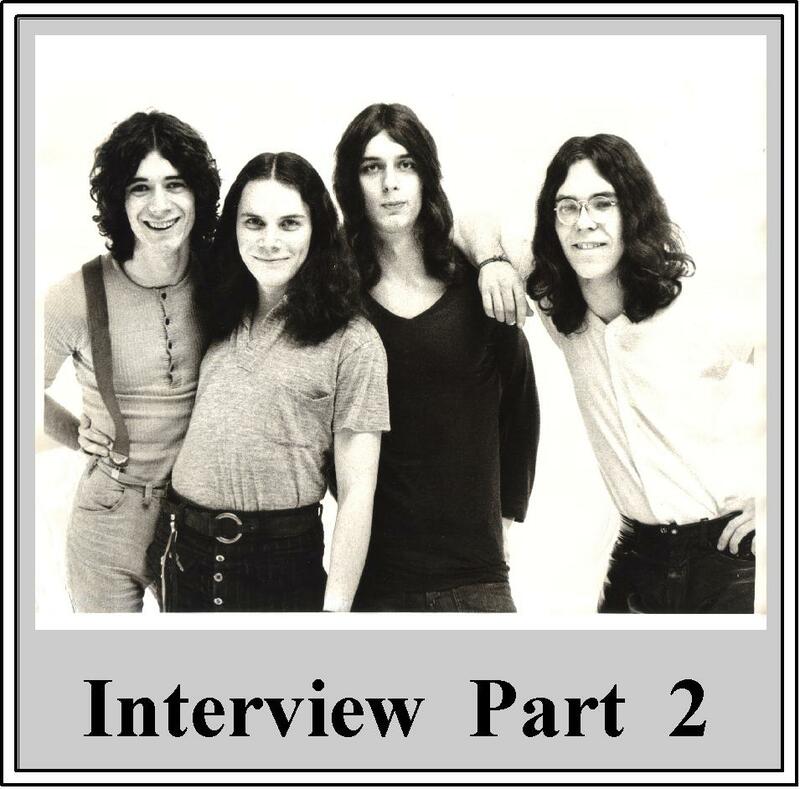 February 13, 1972: The band travels to Ely in Northern Minnesota for a job. On the way back home, the band van with the equipment crashes into the woods. The band gets in touch with members of The System (a local band), who loan them their band van to get their equipment back to Minneapolis. February 27, 1972: The band goes to The Guthrie to see John McLaughlin and the Mahavishnu Orchestra and are very impressed by the jazz-rock “fusion” band. The band transforms from playing underground rock music into a progressive jazz-rock band doing songs by the Mahavishnu Orchestra and King Crimson among others. 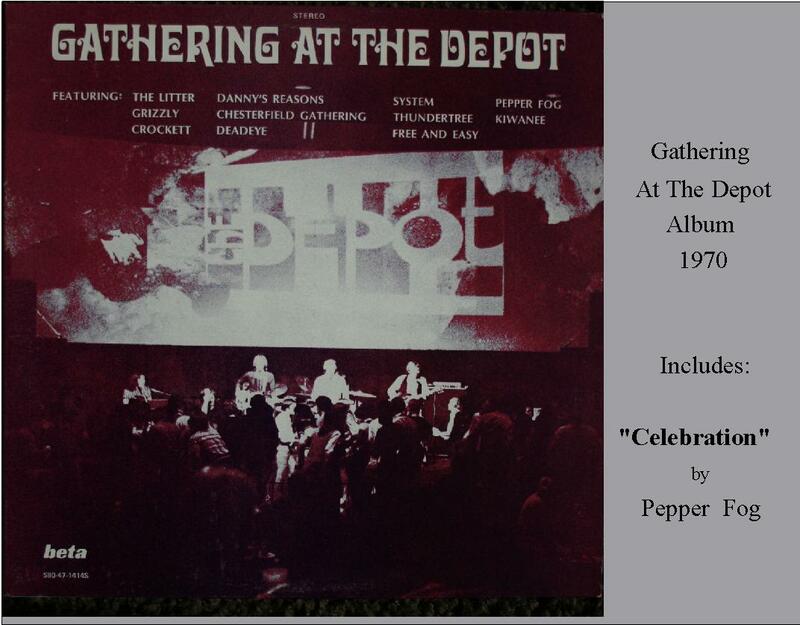 March 7, 1971: The band plays with Crow at The Depot. May 4, 1972: The band goes to the Flame Cafe to see Dale and Bob’s father perform: “Texas” Bill Strength, a country music artist (and also a DJ). July 1, 1971: The band plays at the Pla-Mor Ballroom in Rochester. July 25, 1972: The band plays a concert with Cold Blood and Muddy Waters. August 29, 1972: The band plays three shows with the James Gang at the Minnesota State Fair. The State Fair youth pavilion is called Mind Odyssey and in addition to Pepper Fog, other local bands who play there are: The Litter; Cain; Cold Duck; Copperhead; Teen King and the Princes; Purple Haze; Daybreak; Sterling; Octopus; Blackbone; Danny’s Reasons; Fairchild; Powerhouse; Skogie and the Faming Pachucos; Phaedra; Jasper; Sunshine World; Brave New World; Menagerie; Spice; and Birth. National acts that play at Mind Odyssey, in addition to the James Gang are: Tony Joe White; Cold Blood; Bill Withers; and Muddy Waters. The band enjoys the change in their musical direction however their audience does not share their enthusiasm for the new jazz-rock music of the band. The band loses their audience. 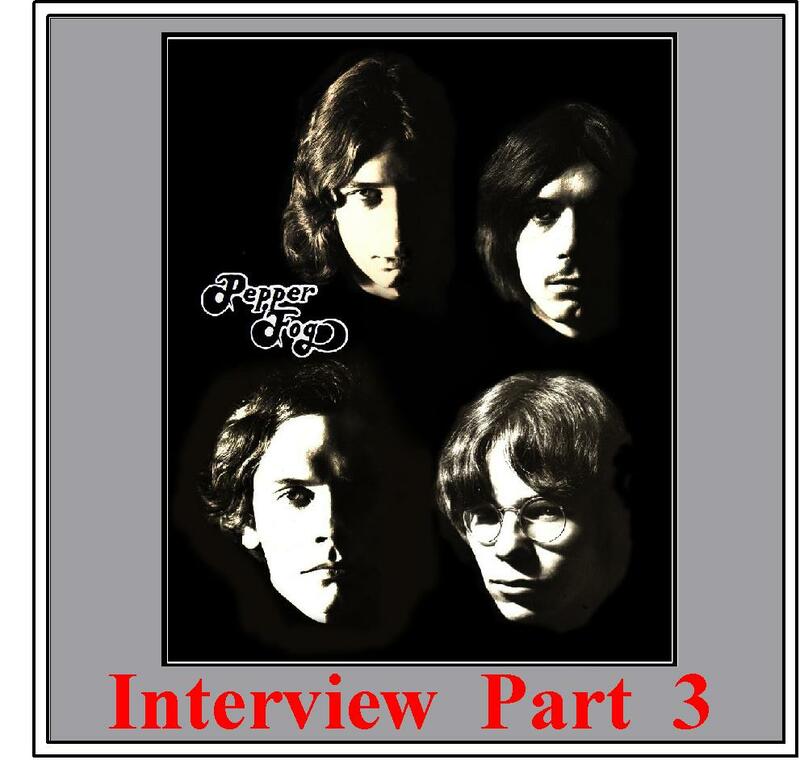 Pepper Fog decides to bring the band to a temporary halt, with the plan to work and raise money to purchase new musical equipment and then start up the band again. Fall, 1972: Bob leaves Minnesota to play with a band at The Savoy Club in St. Petersburg, Florida. Bob finds the job through Zippy Caplan’s Musician’s Referral Service. Dan Bernice takes over on drums for Pepper Fog. 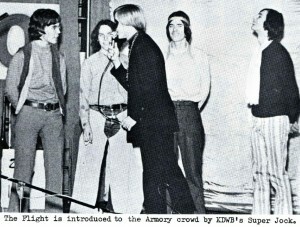 November 22, 1972: The band plays their final job at the Armory in Gaylord, Minnesota. Gregg is unable to make the final job due to an unscheduled meeting with local governmental employees. Pepper Fog comes to an end. The plan to restart the band does not come about. On June 26, 2010, Pepper Fog played a reunion concert at Famous Dave’s (Calhoun Square) in Minneapolis. Also on the bill were Crow and Willie Murphy. 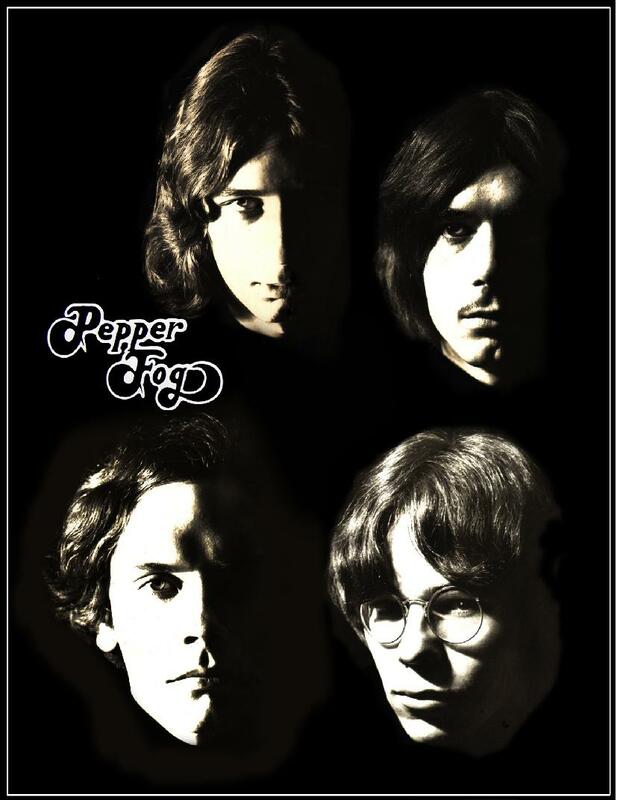 On June 30, 2012, Pepper Fog played a reunion concert at Famous Dave’s (Calhoun Square) in Minneapolis. Also on the bill were Crow and The Litter. Dale Strength: Living in Minneapolis, playing with Lip Service, Cockeyed Band, Hank Williams Tribute, and jobbing. Also, recording with Dale Strength and the Dickins. Gregg Inhofer: Living in Minneapolis, playing (and recording) as a solo artist and with the Cockeyed Band. Ron Merchant: Living in Minneapolis, playing with Pepper Fog for reunion concerts. Bob Strength: Living in Minneapolis, playing with various bands.